Netting is used for a number of purposes in an urban environment including protecting your building from birds and the damage that they can do, and catching debris on construction sites, to protect the people walking below. Apex Access Group’s highly skilled and experienced team are able to add this to your building, even in the most difficult to reach places, using ropes and abseiling techniques. Our services are available across the UK. When Apex Access Group assemble netting, our teams work to the highest health and safety guidelines and fall protection systems, minimising the risk of working at height. If you have a high-rise office building, commercial building or multi-storey apartment building that has a need for bird, debris or safety netting, we can assemble this for you. We will carry out a survey of the premises to discover your needs, find out what sort of netting would be the most useful for your building, and to plan how the work will be carried out safely and efficiently by our skilled team. 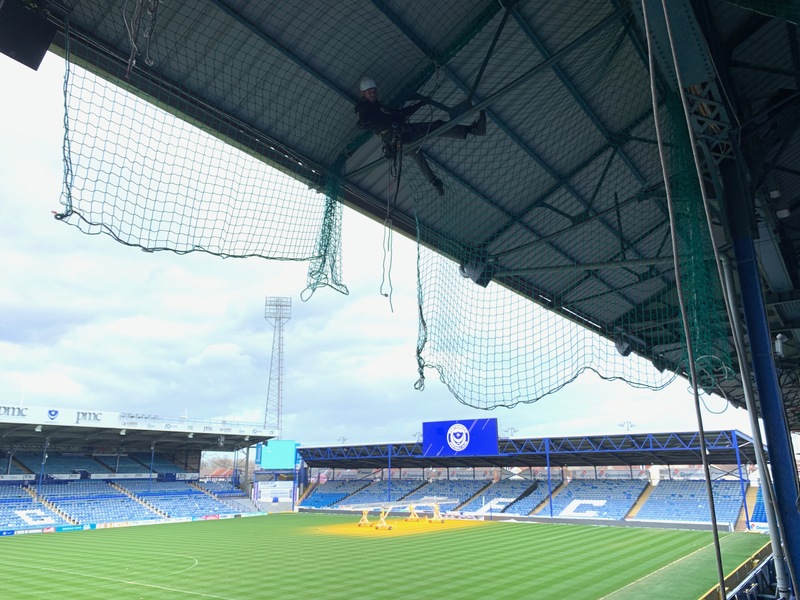 Rope access services have been developed by experts over a 25-year period and is a great solution for putting up netting in places that might otherwise be difficult to reach. We can also ensure that the netting which we put up does not ruin the aesthetic of your building. It should match the building and blend in with the fascia. Using a working at height team for this work is a great alternative to other options like scaffolding or using ladders. Scaffolding takes time to erect and dismantle and takes up a lot of space whereas ladders may mean that some areas are too difficult or high to reach. Our skilled rope access team will be able to add netting to your building to suit your needs.